Come along for legendary adventures with the first four books in the Heroes in Training series, now available in one action-packed paper over board edition! This paper over board edition includes Zeus and the Thunderbolt of Doom, Poseidon and the Sea of Fury, Hades and the Helm of Darkness, and Hyperion and the Great Balls of Fire. 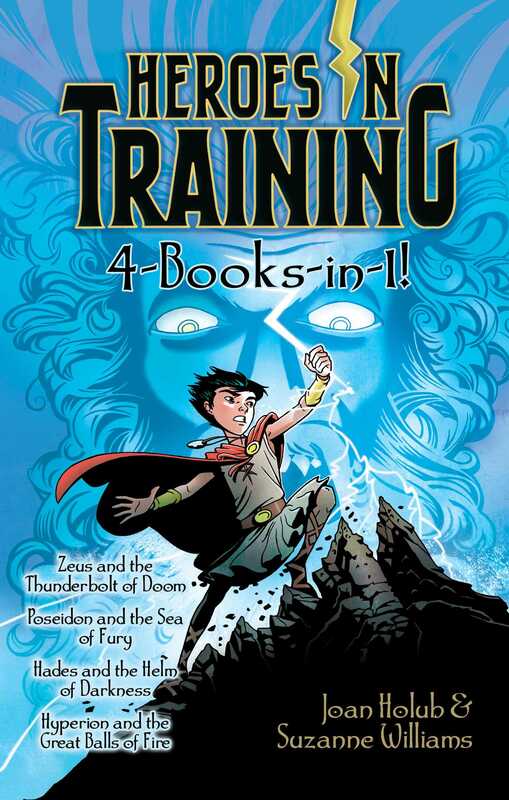 Book Cover Image (jpg): Heroes in Training 4-Books-in-1!